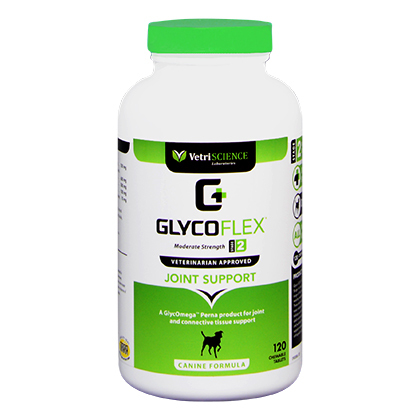 Glyco-Flex II is a joint supplement (stage II of the comprehensive Glyco-Flex program for dogs) used for maintaining healthy joints. Glyco-Flex II is recommended by veterinarians for dogs with a moderate need for joint support, adult and maturing pets, sporting and working breeds, as well as a follow-up to orthopedic surgery. Made in the USA. The active ingredients include glucosamine and Perna Canaliculus (green lipped mussel). 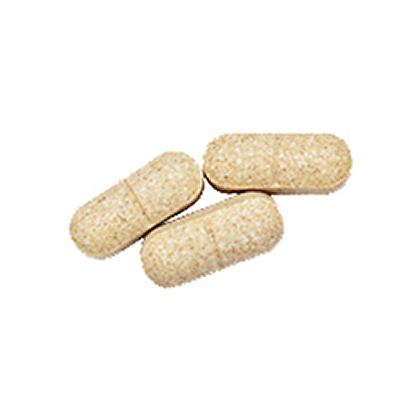 Glucosamine is a natural compound that is found in healthy cartilage in both humans and pets. It helps hydrate healthy joints by increasing the production of molecules that bind and hold water in the cartilage. 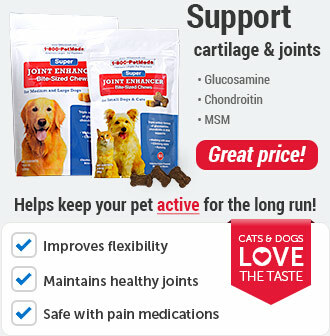 Healthy cartilage provides cushioning which helps protect a pet's joints while exercising. Many believe that it provides clinical benefit in the synovial fluid by strengthening cartilage and aiding glycosaminoglycan synthesis. Further research on the effectiveness of glucosamine is still needed, but many of our customers find it to be very beneficial to their pets. 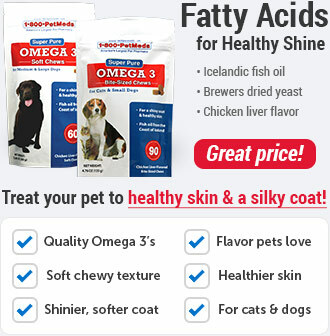 Diabetic pets or pets that are overweight and have problems with glucose tolerance should have their blood sugars monitored if they are given glucosamine supplements. Glyco-Flex II for Dogs (per tablet): Glucosamine HCl (750mg), Perna canaliculus (Green-Lipped Mussel) (600mg), Methysulfonylmethane (500mg), N,N Dimethylglycine HCl (100mg), Manganese Amino Acid Chelate (10mg). Glyco-Flex II for Dogs represents Stage II of the comprehensive stage of life program for moderate support of joint dysfunction and for connective tissue health in dogs. Glyco-Flex II is recommended for adult and maturing dogs, sporting or working breeds, as well as a follow up to orthopedic surgery. 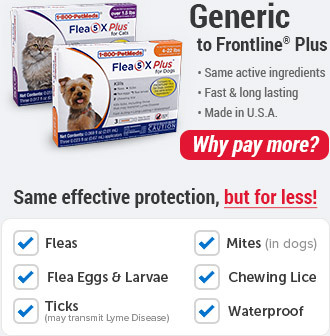 Glyco-Flex II for Dogs is a non-prescription (OTC) product. The usual dose of Glyco-Flex II for Dogs for the first 4-6 weeks in dogs up to 30 lbs is 1/2 tablet. 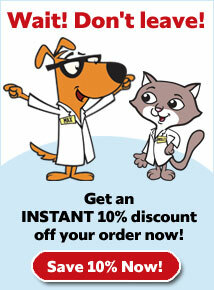 For dogs 31-60 lbs use 1 tablet, for dogs 61-100 lbs use 2 tablets and for dogs 101 lbs and over use 2 1/2 tablets. 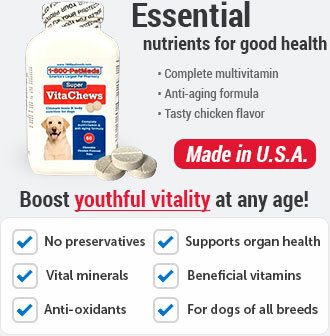 The maintenance dose for dogs up to 30 lbs is 1/2 tablet every other day, for dogs 31-60 lbs is 1/2 tablet, for dogs 61-100 lbs is 1 tablet, for dogs 101 lbs and over is 1 1/2 tablets daily. 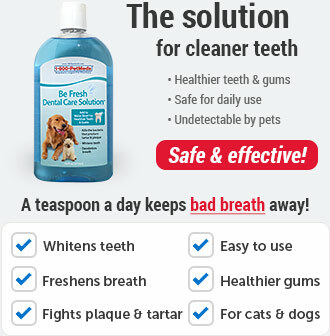 This product is for animal use in dogs only. Glucosamine, in humans, may increase insulin resistance and consequently affect glucose tolerance. Diabetic dogs or dogs that are overweight and have problems with glucose tolerance should have their blood sugars monitored if they are given glucosamine supplements. Store in a cool, dry place. Keep out of the reach of children and animals. Glyco-Flex II Tablets for Dogs should be given with food. Other Ingredients: Brewers yeast, cellulose, natural imitation roast chicken flavor, silicon dioxide, stearic acid.